A single mother of three, a grandmother, and a lifetime farmer, Andrade arrived in Atlanta in 2007. The 55-year-oldbs Portuguese-Creole accent is strong; her English, satisfactory. If her smile is contagious, her laugh is likely to start a pandemic. You'll find her in her element at Menabs Farm, the thriving paradise of plants she built by hand on a run-down street in the heart of Atlanta's Bankhead neighborhood. But letbs take this back a bit. Cape Verde, a Portuguese colony until 1975, is a tiny archipelago about 300 miles off the coast of Senegal. The beaches are beautiful and the Portuguese-Creole culture is rich, but due to the lack of arable land and isolation from natural resources, the country has always been a hard place to make a living. This was the case for Andradebs agri-centric family, and in the 1960s they took advantage of the Portuguese governmentbs offer to move them to their sister colony of Angola on the African mainland. It was a good offer: better land, income, and even a house. Unfortunately, Angola was about to burn. her daughter De Pina recounts. Fortunately, the Andrade family escaped Angola and was able to return to Cape Verde, where things were difficult but safe. I learned all about pesticides and fertilizer. Back home we never used them." 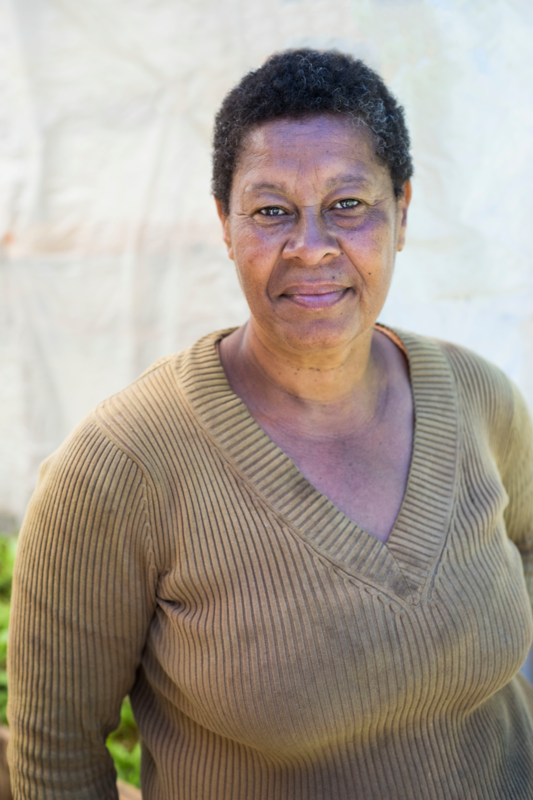 For most, these setbacks would have been debilitating, but for Andrade, they became a catalyst for rediscovering her organic farming roots. She took the opportunity to set a hard course for long-term health, beginning with a bold vision for building a pesticide and chemical free garden for herself and her family. There were only two problems: Their Bankhead backyard was atrocious, and there was not enough money to buy even a bag of dirt. And so, though still recovering from her injuries, she single-handedly macheted her way through the jungly, trash-covered patch, sculpting the eyesore into a haven for her future farm. Thanks to the kindness of an employee at urban agriculture center Truly Living Well and a driver from a tree removal company, Andrade received two free truckloads of wood chips and five bags of compost. After three years of decomposition and patiently turning the dirt, those chips and compost became the original source of her farmbs exceptionally fertile soil. She hasnbt paid for soil since. Along with her many other pesticide-free fruits and vegetables, Menabs Farm is known for their sweet potato greens, spicy salad mix and squash blossoms, all of which Andrade hopes to start selling to restaurants in the Atlanta area. You can find Filomena Andrade and her produce from 9 a.m. b 1 p.m. every Sunday, April through December, at the Grant Park Farmers Market, 600 Cherokee Ave. Blend greens and water until smooth, add all other ingredients, blend until smooth and enjoy. There's a small community garden on Gordon Street in the West End neighborhood of Atlanta. It's unassuming: just a modest output of produce, maybe the size of your average hobby garden. But what's being created here goes far beyond lettuce and squash.